Sometimes you just need a listening ear. 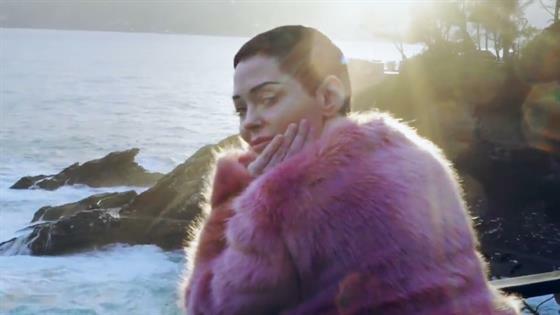 Rose McGowan has been on a journey of healing and recovery for the last year, and while it can sometimes feel extremely isolating, she learned this week on CITIZEN ROSE that sometimes you just need someone to let you know you're not alone. "Uma Thurman and I started speaking on Instagram through direct messages and then we moved to a phone call and she was so supportive and so lovely. She's been through so much," Rose shared about her touching phone call with the fellow actress. The actress reached out after sharing her story of suffering at the hands of Harvey Weinstein. "The main thing Uma wanted to transmit to me was how much respect she thought I deserved and just to know that I'm loved," Rose revealed. "She's a beautiful person." Rose also reached out for some professional help this week and got a lesson on how her brain has been handling trauma for all these years. She learned about the "fight, flight, freeze" model of trauma and how to begin the process of healing. "So if you think of layered trauma, think of it as a layered cake. You have the one slice here and if you just had the one slice that would be great within itself," psychologist Thomas Pecca shared with her. "But no, there's another slice on top of it, another slice on top of it and another slice on top of that. They start to blend together." While Rose revealed that while she may be physically safe in the current moment, it's her legacy and her reputation that is being threatened. In the end, she must begin the hardwork of letting go of what she cannot control. "People are going to say bad things about you for the rest of your life and people are going to say wonderful things about you for the rest of your life, and you will be in the spotlight and then you won't be," Thomas shared with her. "It has very little to do with your worth. It has very little to do with your survival. I think it has something to do with your legacy, but I think you've tied your legacy and your survival." True healing is going to take longer than an afternoon session, but it was incredible for Rose to begin gaining the knowledge she needs to move forward. Speaking of moving forward, she's doing that in the emotional and literal sense. On last week's episode Rose revealed she would be selling her house and now she has finally decided to settle in Paris, although it wasn't an easy decision to come to. "I know it seems maybe silly having an attachment to a house," Rose shared. "But for me, homes have always been the only protection I've had from the scary world. Leaving that, it is like leaving a nest in a way. It's hard." But as we know about Rose, she's always up for an adventure. Of course everyone knows that the perfect place to have an adventure is Paris! "Paris has been a really important place for me since I was young," she explained. "There is something really healing about being in a city and a country so old, and it makes you feel like you're a little spec of sand in the great beach of time." In usual Rose style, her story is just beginning. "I don't know what Paris will hold for me," she shared. "But I'm excited to find out." Watch next week's episode to see how her journey continues to unfold.